NOT-TOO-SWEET SPECIAL-OCCASION DRINKS FOR SOBER DRIVERS & NON-IMBIBERS. 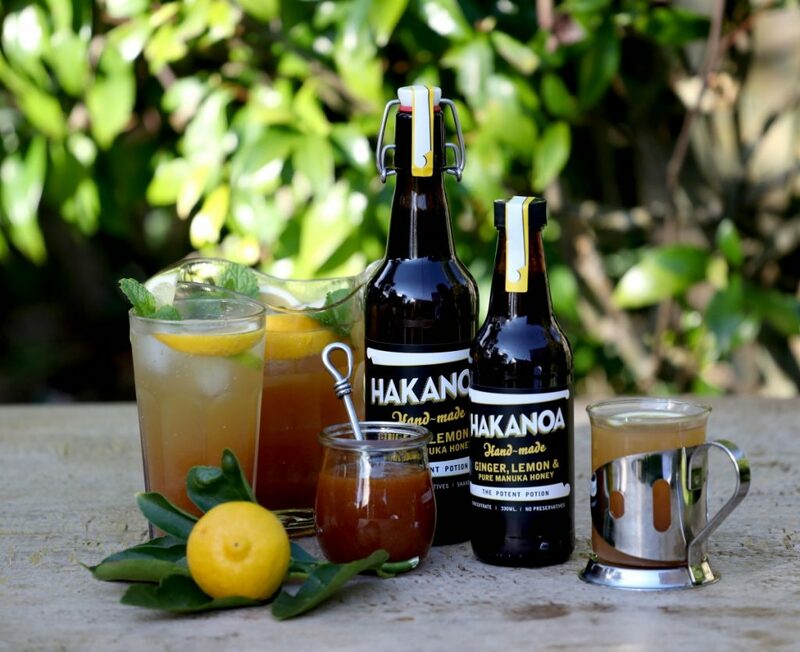 Hakanoa Dry Ginger Beer – or for an even zingier version, Hakanoa Lime & Chilli Ginger Beer – well chilled. Tio Pablo lime & chilli salt, or Lucky Taco citrus & chilli salt – 1 tablespoon in a saucer ready for dipping your glass. Rib the rim of your glass with the fresh lime wedge, dip the rim in the salt and shake off the excess. Pour your ice-cold Hakanoa into the glass, carefully avoiding the rim, squeeze in the lime wedge and serve. 1 tsp Hakanoa Chai – Spicy, Classic or Unsweetened are all good. Half-fill your glass with ice. Add the Chai concentrate, apple juice & lime juice & stir well. Poke the cinnamon stick through the lime wedge and pop on top to serve. Put ice in glass, add syrup & lime juice, smack your sprig of mint to release the aroma and drop it in glass.